Jesse Shofner was the first woman to play in the pro league, the AUDL. She's also played on two national teams, won two national championships with the University of Oregon team and now plays for the elite women's club team Molly Brown. 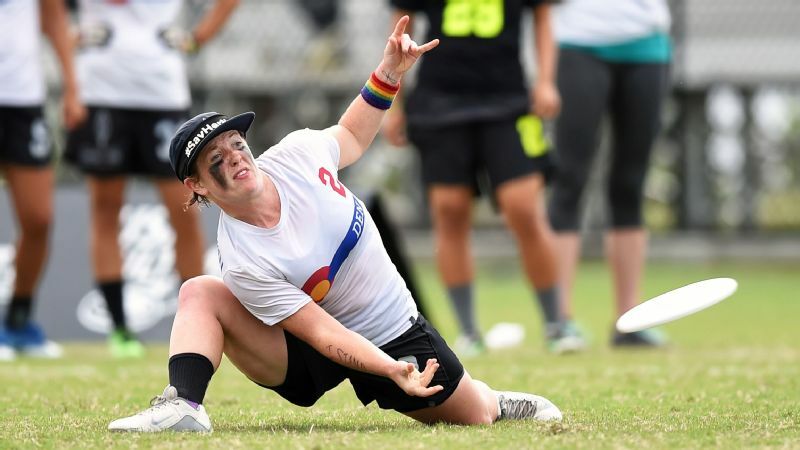 Last year, the 24-year-old became the first woman to make a professional team's starting lineup in the sport's pro league, the AUDL. She has played on two national teams (as a U20 and U23), won two national championships with the University of Oregon team and now plays for the elite women's club team called Molly Brown. 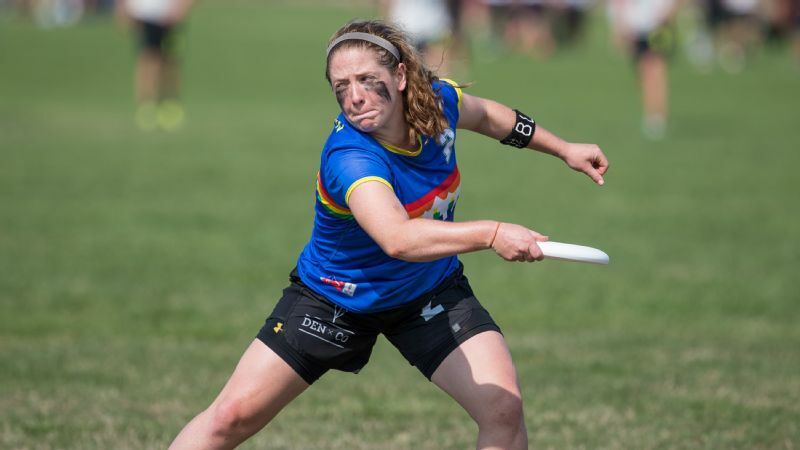 But, though she loves ultimate frisbee, she is not shy about pointing out the growing pains the sport is going through and what needs to be done to make it equitable for women who play. This week, Shofner helped organize a boycott of the AUDL over the organization's gender equity issues. 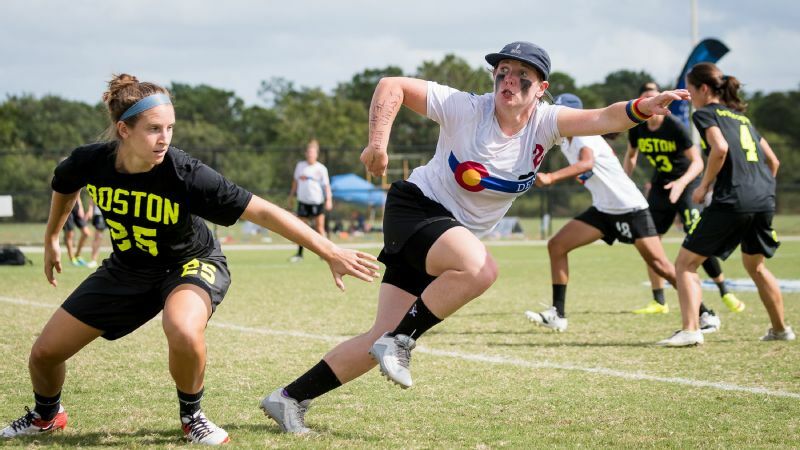 The AUDL is a men's league, while ultimate, as a sport, is well-known for both its women's and mixed co-ed teams. "Jesse redefines the game a little bit," says Claire Chastain, captain of the Molly Brown team. In fact, Shofner has been redefining the game since she was a kid and started playing with her brother's high school team in Nashville. She had dabbled in other sports, mostly soccer. But her brother, who also plays in the AUDL league, started playing ultimate and she tagged along. 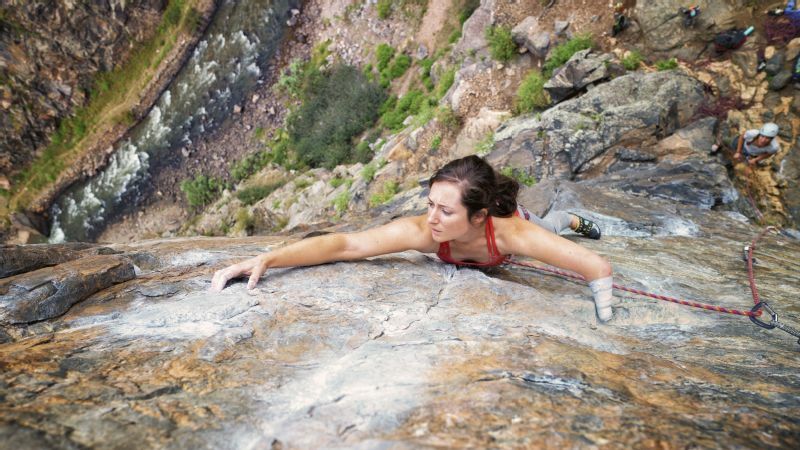 "Then I fell for the sport," she says. She loved the community, the fun. Ultimate is a fast and furious sport, full of complicated plays and strategy, but it's also inclusive and player-driven. Even at many of the highest levels, for instance, there aren't referees; the players self-referee and make their own calls. "It was a breath of fresh air," she says. "I looked forward to practice more than any sport I'd ever participated in." But part of what that independence brought was a whole new set of additional challenges. In most high school sports, the teenage players don't have to take care of the coaching and logistics themselves. Shofner, though, had to organize schedules and fields, teach new players the basics and roam the school halls trying to get people to come out just so they'd have enough players. It's a situation, she says, that so many of the top female players went through. There simply isn't much infrastructure available for girls' youth ultimate, so if you want there to be a team, you have to make it happen. Even at some of the highest levels of ultimate frisbee there aren't referees; the players self-referee and make their own calls. "I was pouring my heart into it," she says. It was exhausting enough that she wasn't sure she'd keep playing in college. Fortunately, she didn't quit. In fact, she ended up at the premier women's program at the time, at the University of Oregon. "It was formative in all regards," she says. Here there was a legendary coach, Lou Burruss, and countless other talented women who also loved the sport. 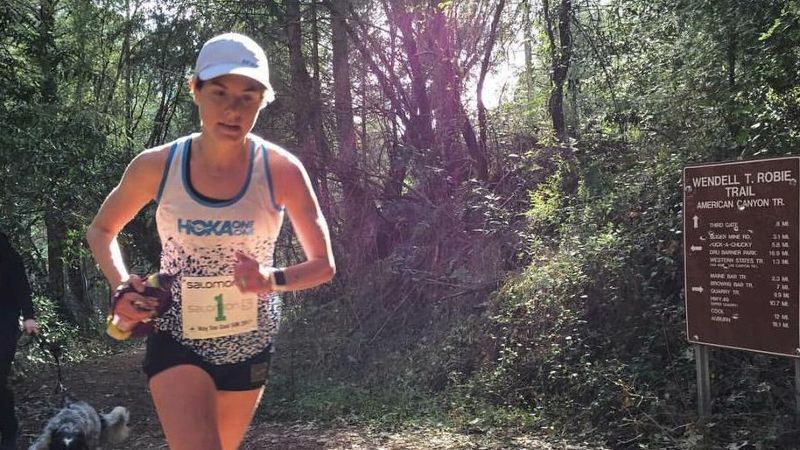 They pushed her to be better, to train harder and get more from her body, she says. "We learned how to fight." "I truly believe in college Jesse changed the game," Chastain says. She and Shofner played on opposing college teams at the time, but Chastain appreciated her fast-moving and explosive style. Points are scored when a team passes the frisbee (called a "disc" by players) into the opposing end zone. Players can't take steps while holding the disc, but must make quick passes, plays and interceptions. Since a team's offensive and defensive players are both on the field at the same time, interceptions and changes of direction can happen quickly. If a player is able to catch the other team reacting slowly, it can be a powerful tool. Shofner plays defense, but is known for making blocks and turning them around into points for her team. "She stands out for the rate at which she plays," Chastain says. And Shofner has such a diverse skillset she can be a threat in any situation. That explosiveness, speed and fearlessness are what Chastain is citing when she says Shofner changed the women's game. Jesse Shofner helped organize a boycott of participating in or watching AUDL games, which became public this week. Ultimate frisbee, while growing, isn't an easy sport to make a living in yet. "In general, we spend stupid amounts of our own money," Shofner says. The AUDL is nominally the pro league, but it doesn't pay much and there are debates within the sport about if it's truly the highest level of play -- debates that Shofner is not shying away from. Does the sport need the legitimacy of being "professional"? What if that comes by adding referees and not having a women's league? Is this approach player-driven enough? 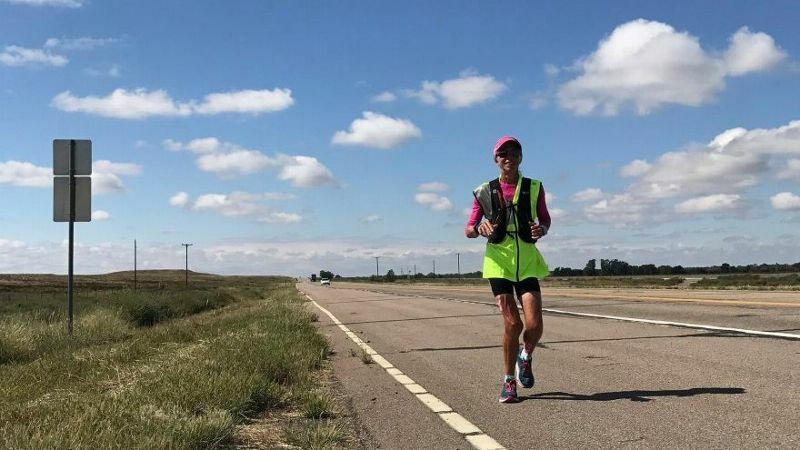 "Behind the scenes and in the community, there is a conversation about if this is the direction we want to grow the sport," Shofner says. Last year, while back in Nashville after graduating, Shofner tried out for the AUDL's Nashville Nightwatch mostly to see if she could. She liked playing with the team over the season, but actually felt that there have been more high-level teams she has played on. And she's not sure she'd do it again, at least not the way the AUDL is currently organized. "She was kind of tokenized last year," says Chastain. The responsibility she feels as a highly visible woman in the sport is partially why Shofner took a lead in organizing the boycott of participating in or watching AUDL games, which became public this week. The boycott has already prompted the AUDL to outline what it calls a "gender equity plan," which would promote a handful of separate women's games over the year. But Shofner, Chastain and the others don't want separate games -- they want equal promotion of women's sports. That's why they pushed USA Ultimate to change its deal with ESPN so that both women's and men's games during the national championships are televised and the prime-time spots get rotated. And it's why Shofner doesn't plan on being quiet any time soon, even if it makes things tough sometimes. It's not always easy to push for change from the same national body that she works with to promote the sport and from the very league that paid her last year. She's a frequent topic of discussion and criticism in ultimate frisbee forums and internet comments. But she says she does it all for the love of the sport. It'll be worth it if she gets to be the best player she can be, and that means helping other women have the chance to be the best players they can be too. "The game, at large, is beautiful," she said. When it all comes together, there's nothing like it. "You can't score alone. You have to function as a unit."